Case in point: The Melt, a chain of “fast-casual” (i.e., more expensive and marginally better than your typical “fast food”) restaurants that sought to revolutionize the way people got their grilled cheeses. Backchannel recently published a profile of the California company, “How The Trendiest Grilled Cheese Venture Got Burnt,” by Bianca Bosker, who charted its history, from the moment founder Jonathan Kaplan pitched it on stage at a major tech conference, through its disappointing first five years. Kaplan previously led the company behind those minimalist Flip video cameras that were everywhere about a decade ago—you know, before everyone had a decent video camera in their pockets at all times. After tech giant Cisco bought Flip and quickly shut it down, Kaplan was looking for a new way to change the world. That’s when he had the genius realization that “when you put soup and grilled cheese together, it’s really wonderful.” So he set out to develop the technology to make “the perfect grilled cheese” and pair it with a high-tech restaurant that would get delicious sandwiches in customers’ hands quickly and easily. And forget burgers or anything like that. The Melt was dedicated to grilled cheese and soup and that was it. The company opened its first store in 2011, and Kaplan declared that 500 more would follow in the next five years. There are currently 18, and Kaplan is no longer the CEO. 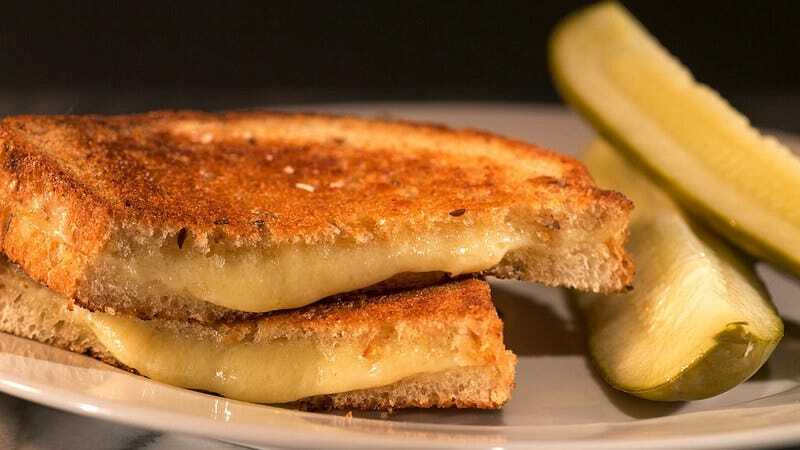 As it turns out, the comfort offered by a comfort food like grilled cheeses isn’t entirely compatible with the cold, calculated efficiency of a Silicon Valley startup like The Melt. It comes from the warmth and soul of that hearty, gooey sandwich, which is just one of the many things Kaplan and his founders didn’t really understand when they first opened The Melt. Kaplan was obsessed with boosting the efficiency of the restaurant process. He cut out the human element as much as possible, leaning harder and harder on technology to streamline things and bring customers in. The buildings were designed to accommodate perfectly efficient execution of The Melt’s minimalist menu, something that backfired on the company when they had to overhaul the menu to make up for yet another obvious oversight: As awesome as grilled cheese is for a mid-day treat, it’s not exactly something people seek out for dinner. The Melt is still around and lots of its ideas—like app-based loyalty programs—have been adopted by bigger companies, so it wasn’t a total loss. But recovering from the initial ridiculousness of Kaplan’s idea has required huge changes and a real remove from the sterile vision he presented. Bosker’s profile is well worth reading to get the details, along with some truly satisfying catharsis. With a precision and timing not unlike the induction-powered smart-grills The Melt developed to churn out sandwiches, Bosker chooses and places her quotes perfectly to give this story of a ridiculous venture the air of cynicism and disbelief it deserves. It’s a tale of Silicon Valley hubris that actually has an uplifting ending: The tech dudes lost.